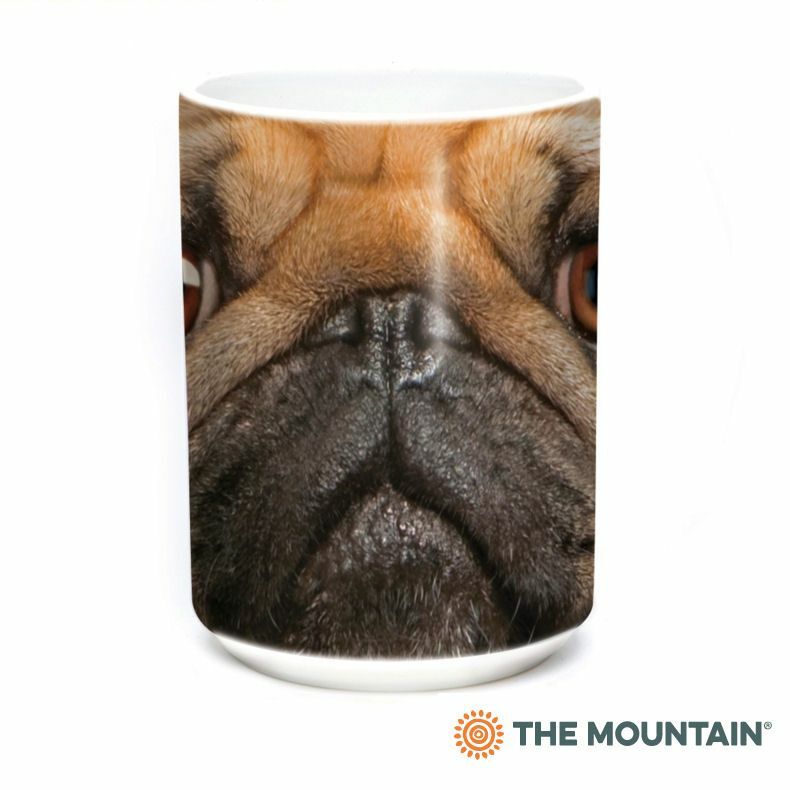 This Big Face pug t-shirt from The Mountain® is one of our best selling t-shirts. 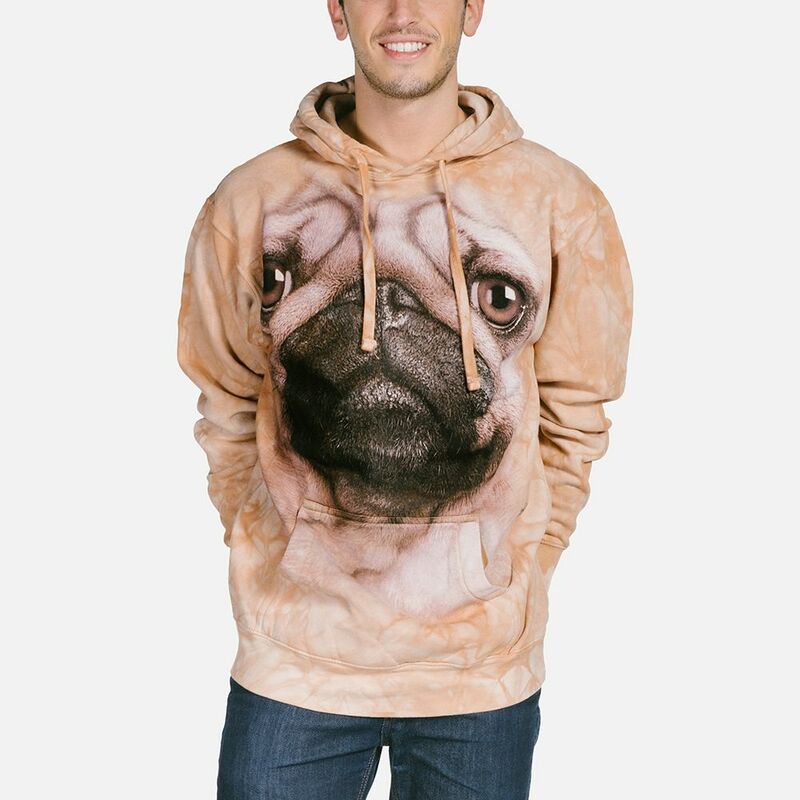 The dog image is by artist Vincent Hie. We sent celebrity Jodie Marsh (a pug owner) a t-shirt. She wore and tweeted about it and was also featured in OK Magazine in 2012.